I am writing to thank your firm and attorney Molly Young for your assistance in successfully defending our position that all our deductions were properly and rightfully taken, and overturning in their entirety the deficiency and penalties the IRS had assessed against us. Molly was a pleasure to work with, had a clear strategy for our case, and was knowledgeable on every aspect of the matter that came up. She was able to explain details plainly and kept us informed every step of the way. 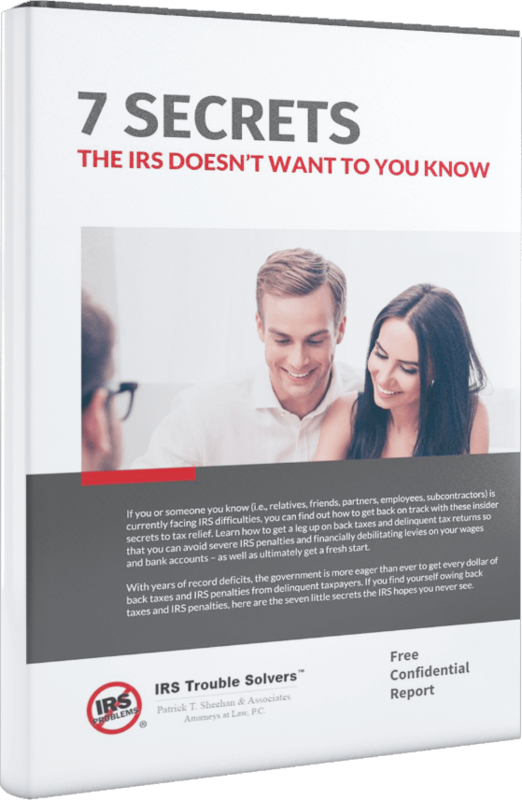 I would not hesitate to recommend Sheehan & Associates, and Molly in particular, to anyone that finds themselves at odds with the IRS. Our taxpayer, a Kendall County resident, was notified by the IRS that his federal Form 1040 tax return for 2011 had been selected for audit. The IRS took the position that the taxpayer’s business did not meet the IRS guidelines of carrying on a trade or business and disallowed his business expenses totaling $48,976.00 as reported on the Schedule C of the taxpayer’s tax return for 2011. As a result, the IRS proposed to assess additional tax liability for 2011 in the approximate amount of $17,796.00, inclusive of penalties and interest. There was also the possibility that the IRS may expand the audit to include other years in which the taxpayer operated the same business. The taxpayer retained our firm to file a Petition in the United States Tax Court to oppose the proposed additional tax assessment. We successfully persuaded IRS Appeals to allow all of the business expenses that were listed on the tax return. As a result, the IRS agreed to not assess any additional tax liability for 2011 or any other years.